JOIN OUR LEGAL EXPERTS AND MAKE SURE YOU’RE ON THE RIGHT SIDE OF THE LAW! The appointment of Information Regulator, Advocate Pansy Tlakula, is the last piece of the puzzle. POPI is a reality. Are you compliant? After years of talk and speculation, the Protection of Personal Information or POPI Act is finally a reality. The appointment of the Information Regulator, Adv. Pansy Tlakula, is the last step to compliance. Very soon, the Information Regulator will be willing and able to knock on your door. Are you ready? Do you know what compliance entails? With fines of up to R10-Million, as well as up to 10 years imprisonment, becoming a POPI-scapegoat will impact you personally and professionally. Your business could be at risk if your staff are not aware of what the POPI Act requires from them. This impactful half-day seminar sets out the requirements of the act and best practice for your company. Our legal experts, sourced from the leading law firms in South Africa can help you to plot out the the most effective strategy for compliance. If you are unsure as to what you should be doing to comply with POPI, this is the seminar for you. JOIN OUR LEGAL EXPERTS AND MAKE SURE YOU'RE ON THE RIGHT SIDE OF THE LAW! Rosalind has extensive experience in regulatory investigations and compliance audits. She is highly skilled in developing and implementing customised compliance programmes and training employees on how to comply with the law. Rosalind has been recommended by top international research publication Legal500 as 'very efficient, thorough and knowledgeable' and having a 'tremendous reputation'. Rosalind is ranked by Chambers Global 2016 as 'up and coming' in relation to competition law. Chambers Global, 2017 describe Rosalind as "a pleasure to work with." Rosalind also heads up the Consumer Protection practice and advises clients across all industries on the Consumer Protection Act including bringing their practices in line with the Act requirements and related sector regulation. This includes marketing practices; contractual reviews; disclaimer and plain language reviews; distribution strategies and contracts; promotional competitions and offers; product warranties, liability and recall, and all aspects of franchising. She also advises on privacy issues in terms of the Protection of Personal Information Act in relation to marketing practices and customer database management. is an associate in the Technology, Media, Telecommunications and Intellectual Property Practice at Webber Wentzel. He has experience in commercial and corporate matters, including the drafting of shareholder agreements and a variety of traditional contracts. 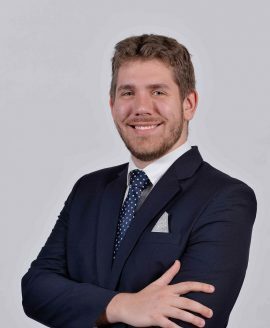 He has performed due diligences for large transactions for companies listed on the JSE, as well transactions involving smaller, specialised companies. Karl also has experience in cross-border private equity transactions, having participated in high-level negotiations and drafting agreements which advance the client's interests. He has advised clients in urgent applications to the High Court, assisted in an application before the Supreme Court of Appeal and provided opinions to clients detailing pragmatic and cost-effective solutions to their disputes. He's recently written an article titled Understanding your legal rights after personal information leaks which was published on Go Legal. He is well-versed on the implications of POPI and the effects it will have on companies and implications of direct marketing. Karl Blom will be speaking about all of this at the POPI Seminar. Kerri is a technology and privacy lawyer. 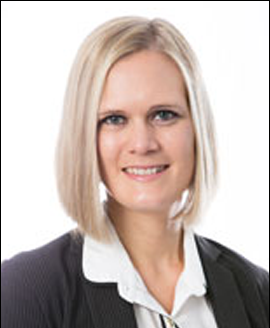 She joined the Johannesburg technology practice in 2014, having trained with the team in 2013. Kerri focusses on information technology, privacy, e-commerce, media and broadcasting. 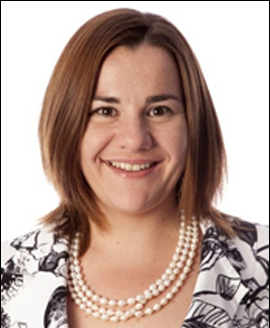 Kerri has been involved in numerous outsourcing, licensing and services procurement and IT- specific intellectual property matters, including three multi-billion rand broadband network infrastructure projects and several large technology projects for clients in the financial services sector. She has advised on various data privacy matters for local and international clients and has been instrumental in building our new innovative online South African privacy law compliance product, POPI Counsel. She also has experience in mobile payments, cryptocurrencies and blockchain. Kerri has recently returned from a combined secondment to our Singapore office and the technology and operations legal team at DBS Bank Limited, one of South East Asia's largest banks. SOLUTIONS We help our customers to lower storage costs, comply with regulations, manage risks, and use the value in their information to grow. Our solutions include information and asset storage, records management, data centers, data management and secure shredding. Founded in 1951, we store and protect business documents, backup tapes, electronic files, medical data and other assets.